Although in northern climates, the coming of spring is celebrated as a return to warmer weather, the occasion is celebrated in Mexico for different reasons and in a variety of ways. The spring equinox is celebrated in Mexico with spring festivals and parades. Another very popular activity to mark the occasion is to participate in special ceremonies and rituals at various archaeological sites throughout the country. People may take part in rituals to honor the special date, which marks the beginning of spring, and the fact that day and night are of equal length on this particular day of the year. On the equinox, the sun is positioned directly over the equator. The word "equinox" means "equal night" referring to the fact that on this day, there are twelve hours of daylight and twelve hours of night. There are two equinoxes during the year: The spring equinox, sometimes called "vernal equinox," which falls around March 20th, and the autumn equinox which falls around September 23rd. The day of the spring equinox marks the end of winter and beginning of spring. The spring equinox is celebrated in many traditions as a time of fertility, regeneration, and rebirth. Easter is calculated according to the date of the spring equinox. In the Western Church, Easter falls on the first Sunday following the first full moon after the Spring equinox (the Eastern Orthodox Church celebrates Easter on a different date). The Spring equinox usually falls on the 20th or 21st of March. The dates for the Spring Equinox may vary slightly from year to year, in some places occurring as early as March 19th. Although the weather in Mexico is generally warm year-round, the start of spring is still considered a cause for celebration. In many places in Mexico there are spring festivals, usually referred to as festivales de primavera, that take place to celebrate the beginning of the season. Children's parades are also popular and if you're in Mexico on or around the date of the spring equinox, you may see children on parade dressed up like flowers and animals. 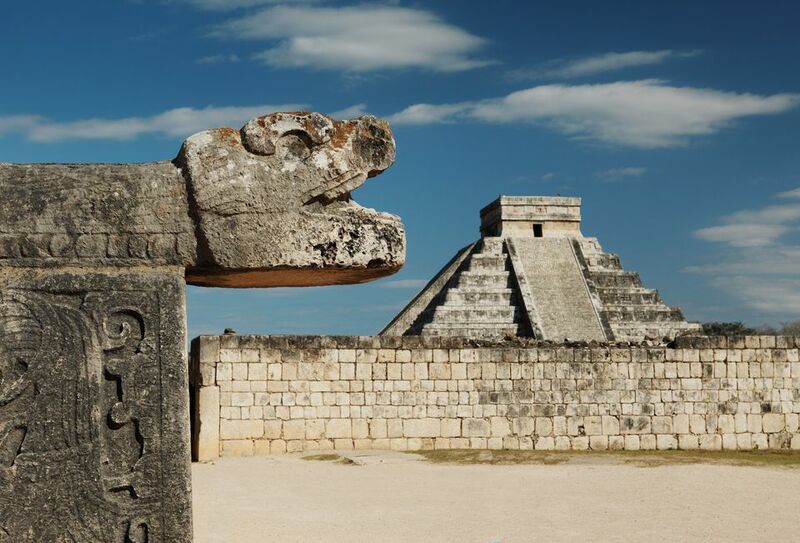 The ancient civilizations that developed in Mexico were very attuned to the movement of the celestial bodies and in some cases constructed their buildings so that there would be alignments on certain days of the year. Nowadays, some people believe that they can re-charge themselves with solar energy at the moment when the sun is directly above the equator, and the best place to do so is at archaeological sites. Chichen Itza: The Mayan archaeological site of Chichen Itza is the most popular spot in Mexico to celebrate the spring equinox. The site's most famous building, The Kulkulkan temple, is the site of a dramatic display of Mayan astronomical knowledge. Every year on the autumn and spring equinoxes, the light of the sun makes a play of light and shadow which makes it look like a serpent is slithering along the steps of the pyramid. The effect begins in the late afternoon, around 4:00 p.m., and lasts for an hour or so. The serpent appears for a few days, from around March 19th to the 23rd, but on the actual date of the equinox, the effect is most obvious. Teotihuacan: The archaeological site of Teotihuacan, near Mexico City, is also a favorite spot to celebrate the Spring Equinox. On this date hundreds of thousands of visitors visit the site, many dressed all in white. They climb to the top of the Pyramid of the Sun where they perform rituals and stretch out their arms to receive the special energy they believe is present on that day. El Tajín: This archaeological site in the state of Veracruz, as well as the town of Papantla, where it is located, hosts the Cumbre Tajín festival every year for the spring equinox, and it is a colorful cultural celebration where you will witness the ritual of the Voladores, a time-honored tradition, as well as concerts and performances.